Do to our Success in Roof Repairs & Flat Roof restorations we are not doing any full roof replacements at this time. Only Roofing Repairs of all types. 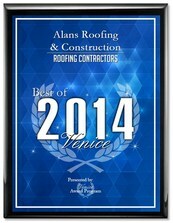 We are a firmly established, licensed, residential and commercial roofing company and have built our reputation on Honesty, Reliability, and Integrity. This continuing philosophy has allowed us the successful completion of numerous residential and commercial projects. We use skilled craftsman, experience, and equipment to accurately assess your situation, and expedite any job quickly to your complete satisfaction. We are a company that honestly takes pride in our work. We Avoid Using Any Firestone Roofing Products ! Hire a Licensed Roofing Contractor & Avoid Fines to you, “The Consumer". A Minimum Fine of $500.00 up to $5,000.00 for hiring an Unlicensed or Wrong Classified Contractor. Florida Law States; only a Roofing Contractor with that Category License can do Roofing Repair Work, Not A Handy Man! This Law was implemented to Protect You and Your Insurance company. Insurance companies May Deny Storm Damage claims due to unlicensed activity. Consumers may file claims against unlicensed or wrong classified contractors for Reimbursement of Full Contract amount & Compensatory damages. If someone is working under another Roofing Contractors License to do any work. "THE CHECK" must be written to that Licensed Roofing Company Only !